When you fill yourself a glass of water from the faucet at your sink, you are probably not thinking of all of the treatment that goes into making that water clean. It’s good to be aware of the process. Here we will go over the basics of the treatment of the water flowing into your home and out of your kitchen faucet. In general, drinking water supplies in the United States are some of the safest around the world. This is because of the Environmental Protection Agency (EPA) and water quality standards. Coagulation and Flocculation are often the first steps of water treatment. Chemicals with a positive charge are added to the water. This positive charge neutralizes the negative charge in the dirt and other contaminants. Since positive and negative charges attract, they bind together to create a larger particle called a floc. 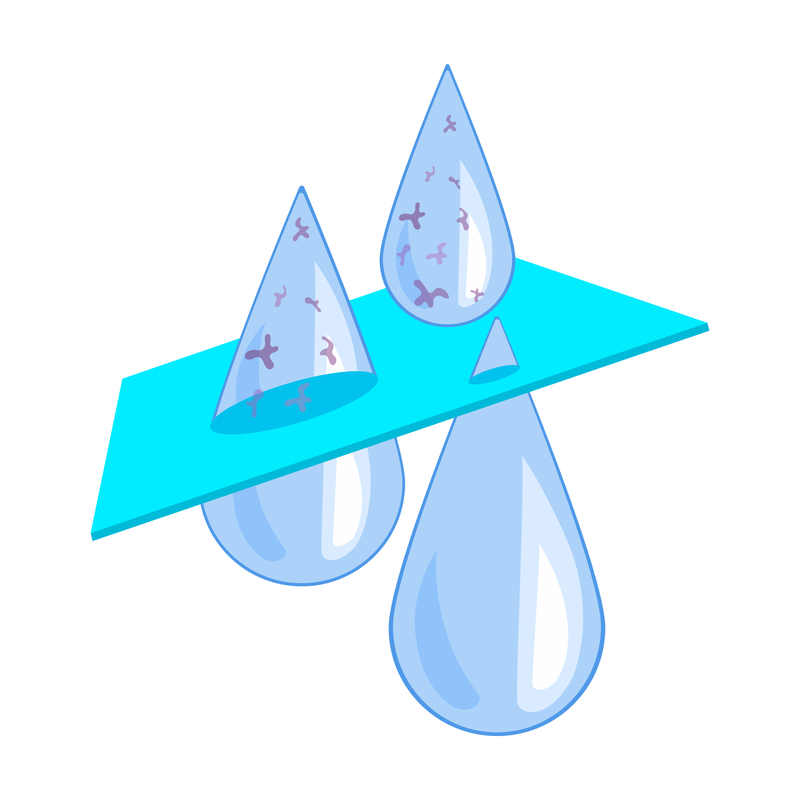 Sedimentation occurs when particles fall to the bottom of a liquid instead of staying suspended. During this step, the 'floc' is allowed to settle to the bottom of the water supply due to its weight. Filtration is the first step that actually removes particles from the water. Once the 'floc' has settled, it leaves clear water on top. This clear water is passed through different pore sizes and varying compositions of filters. They can be made of a variety of substances, including gravel, sand, or charcoal. This process removes dissolved particles such as bacteria, parasites, dust, and unwanted chemicals. Disinfection is the final step of water treatment. Once the water is filtered, then a disinfectant is added, such as chlorine or chloramine. This substance is used to kill any remaining parasites or bacteria that may still linger in the water. Overall, this is a critical step to treat the water flowing into homes and businesses. Yes, the water coming into your home from a water treatment facility has been cleaned and is ready for use, but sometimes homeowners want to take extra precautions when it comes to the water they are drinking. Treatment systems used in your home may either be through a point-of-entry to the house or a point-of-use at the faucet. Which type of system you choose will vary based on your setup and how you get your water, either through a well on your property or a public water treatment facility. Filtration Systems remove the impurities in water by using a chemical reaction, biological process, or a physical barrier. Water Softeners are devices that remove the hardness (minerals) in the water. Usually these systems use sodium or potassium ions to neutralize the magnesium and calcium ions that create the hard water. Distillation Systems use a process where the impure water is boiled and the steam is collected and condensed into a separate container, leaving the solid particles behind. Disinfection is a physical or chemical process that uses things like ultra violet light or chlorine to rid the water of impurities. Whether you are getting your water from a private well on your property or it is flowing into your home from a community facility, water treatment is the process that is used to make sure your water is ready to consume and use. Through these steps for water treatment outlined above, the water you have coming out of your faucet is clean and ready to drink. However, if you don’t trust the public treatments to get your drinking water as clean as you want, you can always add your own in-home water treatment system as well. Check out the Advanced Water Systems residential page for more information on systems you can get installed in your home. If you want to learn more about one kind of water purification, reverse osmosis, check out this blog!